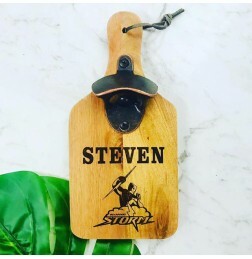 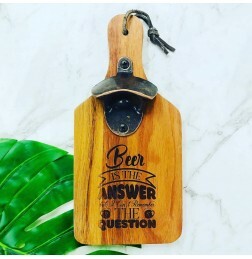 CUSTOMISED FOOTBALL TEAM WALL HANGING LASER ENGRAVED BOTTLE OPENERYour choice of football team laser..
BEER IS THE ANSWER BUT I CAN'T REMEMBER THE QUESTION WALL HANGING LASER ENGRAVED BOTTLE OPENERAcacia.. 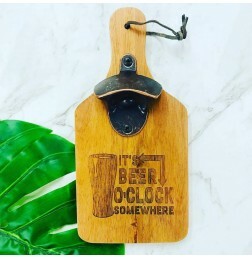 IT'S BEER O'CLOCK SOMEWHERE WALL HANGING LASER ENGRAVED BOTTLE OPENERAcacia paddleboard measures 23c.. 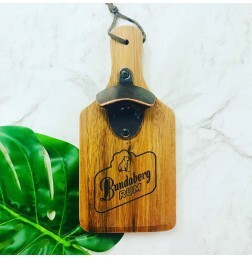 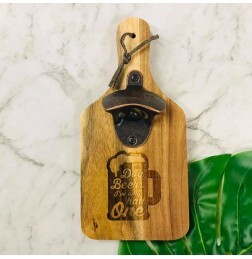 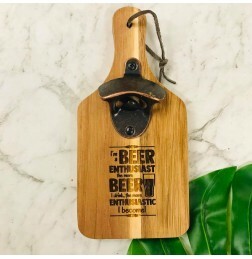 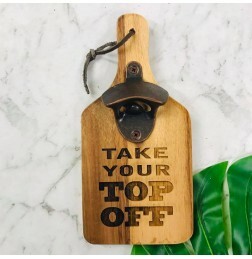 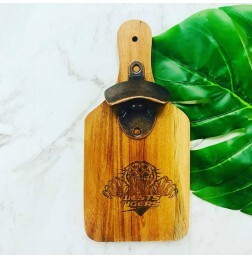 IN DOG BEERS I'VE ONLY HAD ONE WALL HANGING LASER ENGRAVED BOTTLE OPENERAcacia paddleboard measures ..
TAKE YOUR TOP OFF WALL HANGING LASER ENGRAVED BOTTLE OPENERAcacia paddleboard measures 23cm tall by .. 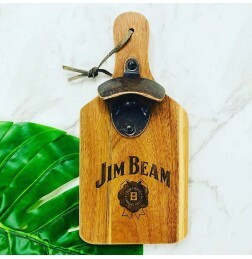 I'M A BEER ENTHUSIAST, THE MORE BEER I DRINK THE MORE ENTHUSIASTIC I BECOME WALL HANGING LASER ENGRA..
BUNDABERG WALL HANGING LASER ENGRAVED BOTTLE OPENERAcacia paddleboard measures 23cm tall by 11cm wid..
JIM BEAM WALL HANGING LASER ENGRAVED BOTTLE OPENERAcacia paddleboard measures 23cm tall by 11cm wide..
WALL HANGING LASER ENGRAVED BOTTLE OPENERYour choice of football team laser engraved.Acacia paddlebo..